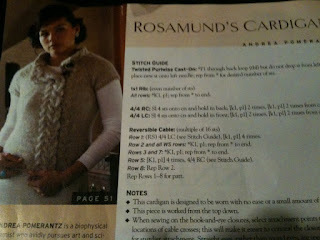 Keeping Up With the McDannels: I love knitting and Jeremy!! I love knitting and Jeremy!! 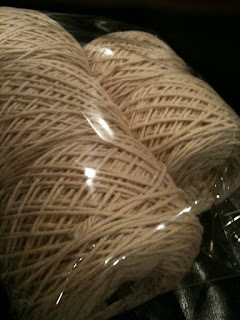 First, I got some YUMMY yarn at a local yarn boutique, Shabby Sheep. The girls there were more than helpful and I walked out with some beautiful Alpaca/wool blend. 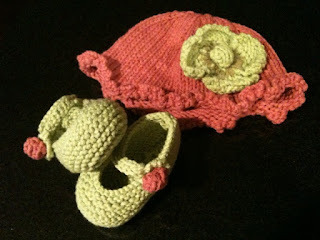 I finished the booties and hat my mom ordered for my cousin's, Alaina, new baby. Her name is Emma Sophia. I think they turned out really well. Third, and finally, I have to show you what my wonderful husband brought home for us. 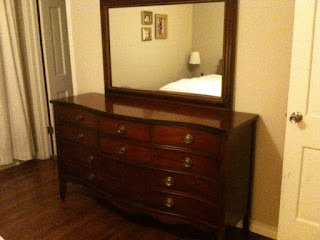 I beautiful dresser built in 1957. That's one year younger than out house! It's gorgeous an I love him...and the dresser.